Oppo today released a new teaser for its upcoming smartphone — the N3. The company had unveiled the Oppo N1 towards the end of last year with a unique camera module that could be rotated to 206 degrees. 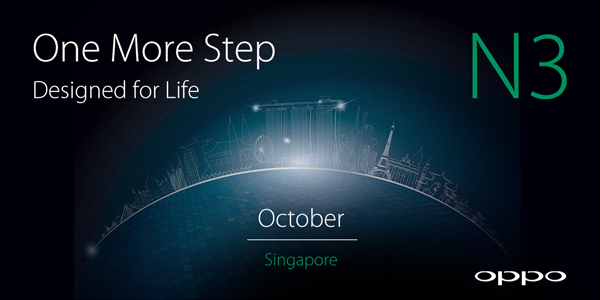 The company’s teaser for the Oppo N3 does not really reveal much except for stating that its launch event will be held in Singapore sometime in October. Leaks and rumors about the N3 have been pretty scarce, but it is expected that Oppo will be focusing on the camera performance of the device just like it did with its predecessor. While the Oppo N1 was a decent handset with some interesting new features, Oppo never updated the handset to KitKat and seems to have completely abandoned support for it. Here’s hoping that its successor does not get the same treatment.